Home News Snow News is Good News Are You Sure It’s March One?! Are You Sure It’s March One?! Looking back at my first week of March column the last nine years, there was a common theme, “Welcome To Spring Skiing.” Traditionally the first week of March begins the final month of the winter season, classified by most in the industry as Spring Skiing. It is usually when temperatures become milder, the days are longer and the bases start to drop. Unless you have been under a rock lately, everyone knows that hasn’t been the case the last few weeks. Rewind to February 2, Ground Hog Day, when Phil didn’t see his shadow and proclaimed another six weeks of winter. Maybe Phil should be the one who stands in front of the green screen at The Weather Channel and gives everyone the weather forecast, but doesn’t name each and every winter storm. It looks like the rodent was on target this year as March is coming in a bit milder than recent weather conditions but there is still snow in the short term forecast. For the resorts from Tennessee to Maryland this season has been a snowy one recently and most importantly recently a very chilly one. But if you look real close to the snow totals some resorts are actually behind in natural snowfall, but catching up quickly with the recent dumps that have occurred. 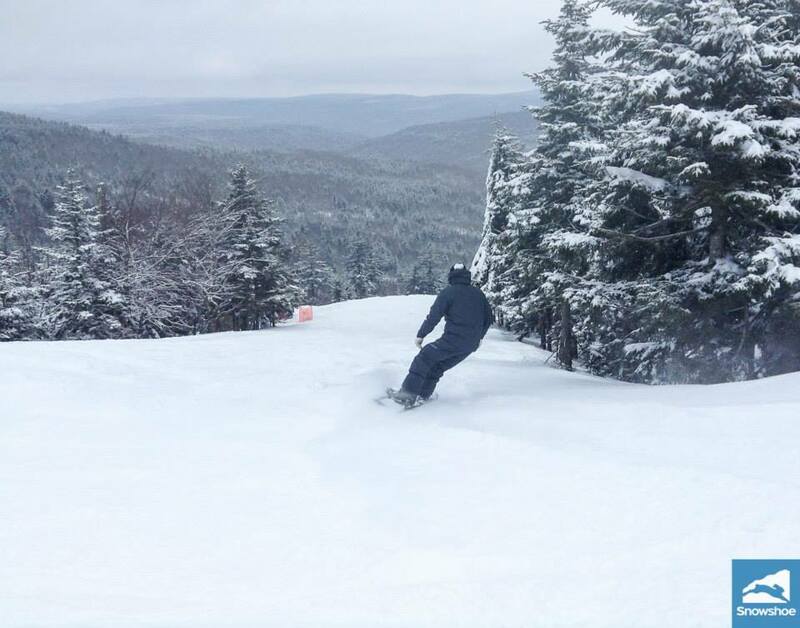 Either way, the conditions are perfect from top to bottom as those cold conditions that everyone experienced in February has meant excellent snowmaking conditions in February and that means nice conditions for skiing and snowboarding in March. There is one heck of a base in the mountains. Conditions at all resorts don’t usually continue to improve this time of year but it would take a hurricane to make them worse. Shame on any skier, snowboarder or snowtuber who hasn’t made it to their favorite resort yet this season. It doesn’t take a rocket scientist to realize the best conditions are on the east coast right now. Another thing that has helped all of the resorts this winter is the fact that there has been enough of snow and cold temperatures in the major market areas to make them realize that snow in their backyards means snow on the slopes. You see there have been times in the past that in some of the parts that serve as feeder cities for the resorts, folks have had to start thinking about cutting the grass for the first time. Not this year, in most cases that grass is still brown and in some cases there is still snow on that grass. You don’t have to be a marketing genius to understand if there is snow out someone’s window in Raleigh, Richmond, Washington, DC, Roanoke, Columbus, etc., you know there is snow in the mountains, just check out all of the web cams right now. Also this time of year you start to hear rumblings about resorts getting ready for their final weeks of skiing and snowboarding. So far those rumblings have been kept quiet and as long as there is a demand for skiing and snowboarding the resorts will be staying open for those who like March sliding on snow, it is a great time to do it. Just like last year, if your memory serves you, there is a lot snow on the slopes for this time of the season. It’s traditionally a time when yours truly and Mike Doble, the site’s Managing Editor (Grand Pooh-Ba) are on the phone early in the morning talking about the slope bases and why the totals weren’t dropping. I really don’t see that happening that much this season. If anything the bases are going to grow after this next storm comes through. Again if you haven’t noticed the temperatures for the most part through at least the middle of last week have been below freezing, keeping the snow from going anywhere. With that thought in mind, when things start going south, can you imagine how good the spring whitewater rafting conditions are going to be on the rivers in West Virginia, Maryland, North Carolina and Tennessee. Whitewater rafting company owners need to make sure ski resort managers are on their Christmas card list again this year. Finally this week, I have busted on ski shops in years past for doing those so-called “End of the Season” sales in January and February, making everyone think the snow is gone just a few hours away for the shop. I haven’t heard of one clearance sale up to this point. Maybe this year the shops will call it a Spring Skiing Season sale. Now isn’t that the way it’s supposed to be? That’s it for this week, just remember whether it be cold or whether it be hot, we’ll weather the weather, whatever the weather will be. Think about it! See you on the slopes. 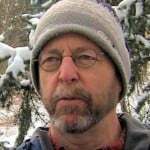 Joe Stevens, a member of the southeast ski industry since 1990 is a regular columnist for skisoutheast.com and serves as the Communications Director for the West Virginia Ski Areas Association.